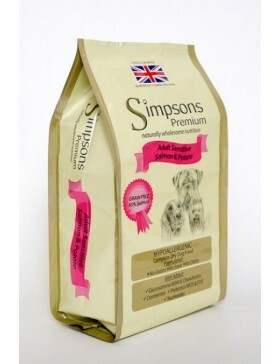 With our dry food manufactured here in the UK with no preservatives, artificial colours or flavours included. 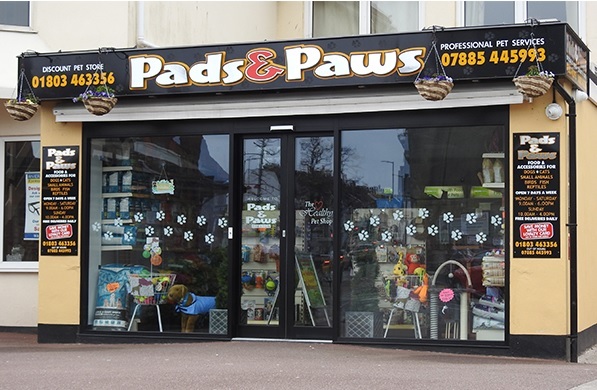 We bring it back to basics, just the way your dog likes it. 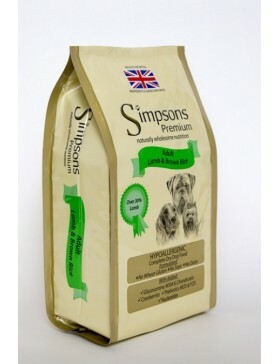 36.95/9.05Simpsons Premium Adult with Lamb & Rice is a nutritious balanced diet that is suitable.. 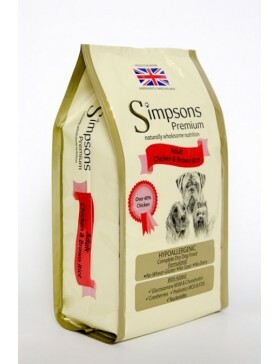 Adult Sensitive Salmon & Potato is a nutritionally balanced grain free diet ideal for Adult dogs..